I will quote ten extracts from your post, and comment on each of them. Does the Antiplanner, who is “dedicated to the sunset of government planning,” really believe that government planners know exactly how many parking spaces to require for every economic activity at every site in every city? Even Houston, which does not have zoning, has minimum parking requirements, and they resemble the parking requirements in almost every other city in the United States. Houston requires 1.25 parking spaces for each efficiency apartment in an apartment house, for example, and 1.333 parking spaces for each one-bedroom apartment. Here is the link to the minimum parking requirements in Houston’s municipal code. Does the Antiplanner, who is “dedicated to the sunset of government planning,” really believe that government planners know exactly how many parking spaces to require for every economic activity at every site in every city, no matter how much the required parking spaces may cost and no matter how little drivers may be willing to pay to use them? Does the Antiplanner really support Houston’s minimum parking requirement of 1.333 spaces for each one-bedroom apartment because he believes that Houston’s government planners can accurately predict the “need” for parking at every apartment to one-thousandth of a parking space? Since you say that many cities do not have minimum parking requirements, can you provide a list of some of these cities? Removing a minimum parking requirement means that a city will never force developers to supply more parking spaces than are profitable, but developers would be free to provide as many parking spaces as they like. If developers did always voluntarily supply at least as many parking spaces as cities now require, the minimum parking requirements would be unnecessary. The only research I have seen found that developers usually do not provide more parking spaces than cities require (pp. 78–84 of The High Cost of Free Parking). Recent econometric research also strongly suggests that minimum parking requirements force developers to provide more parking spaces than they would voluntarily provide in a free market [PDF]. Every person plays many different roles in life — tenant, homeowner, worker, consumer, investor, and motorist. With bundled parking, we pay for parking in all these roles except, usually, as motorists. You use swimming pools and exercise rooms as examples of bundled services at hotels, but cities do not require hotels to provide swimming pools and exercise rooms. Suppose, however, cities did require all hotels to provide swimming pools and exercise rooms, perhaps as a part of a public health campaign. Cities could require all these swimming pools and exercise rooms to be of at least a minimum size related to the number of rooms or gross floor area in a hotel. For example, cities could require every hotel to provide a swimming pool with at least 2,500 gallons of water per guest room. If cities did have minimum pool requirements, I expect that almost all hotels would bundle the use of the pools into the room rents. Would you then say that all these swimming pools are the result of free choices made in a free market? Would you say the market had demonstrated that hotel guests like to swim? Would you say the minimum pool requirements do not subsidize swimmers at the expense of nonswimmers? But let’s get back to parking; even swimming pools have parking requirements, and here is the minimum parking requirement for swimming pools in one city: 1 parking space for every 2,500 gallons of water in a swimming pool (Table 3-4 in The High Cost of Free Parking). Every person plays many different roles in life — tenant, homeowner, worker, consumer, investor, and motorist. With bundled parking, we pay for parking in all these roles except, usually, as motorists. Because we pay for parking indirectly, its cost does not deter us from driving. Because off-street parking requirements force up the supply of parking spaces, they “externalize” the cost of parking by shifting it to everyone but the parker. Only if we pay for parking directly does its cost affect our decisions whether to drive or not. If cities require an ample supply of parking spaces for every building, this saves everyone the trouble of thinking about parking — or its cost. Parking appears free because its cost is widely dispersed in slightly higher prices for everything else. Because we buy and use cars without thinking about the cost of parking, we congest traffic, waste fuel, and pollute the air more than we would if we each paid for our own parking. Everyone parks free at everyone else’s expense. The issue is not simply whether parking is subsidized. Even without minimum parking requirements some firms would choose to offer free parking, just as some hotels offer swimming pools and some coffee shops offer wi-fi. The real issue is whether the government should mandate the parking supply. When the US Census Bureau surveyed owners and managers of multifamily rental housing to learn which governmental regulations made their operations most difficult, parking requirements were cited more frequently than any other regulation except property taxes. If a city like Houston will not allow any developer to build a one-bedroom apartment without also providing at least 1.333 parking spaces, is it any surprise that most landlords bundle the cost of parking into higher rents for housing? As a result, we have free parking and expensive housing. Cars are more affordable but housing is less affordable. When the US Census Bureau surveyed owners and managers of multifamily rental housing to learn which governmental regulations made their operations most difficult, parking requirements were cited more frequently than any other regulation except property taxes. (p. 141 in The High Cost of Free Parking). Off-street parking requirements produce the free parking that everyone wants, but ubiquitous free parking helps explain why American motor vehicles, by themselves, consume one-eighth of the world’s total oil production. We import two-thirds of this oil and we are paying for it with borrowed money. America’s extravagant consumption of imported oil to fuel our cars is not sustainable, economically or environmentally, and anything that is not sustainable must eventually stop. Please cite any occasion on which I have recommended “universal parking fees.” I am not even sure what you mean by this term. If you mean all parking everywhere must have a substantial price at all times, I most certainly do not recommend that. Figure 12-1 in The High Cost of Free Parking shows what I mean by the right price for parking, and the right price will often be zero. For example, if half of all the parking spaces at a suburban shopping mall are empty even when parking is free, it would not make sense to charge for parking. On the other hand, if all of the curb parking spaces in a congested business district are occupied and drivers are circling every block in search of a vacant curb space, the price of curb parking is too low. Here is the link to a video that shows how to set the right prices for curb parking. Table 7-3 in The High Cost of Free Parking shows that parking spaces built on the UCLA campus have cost, on average, 117 percent of the price of a new car in the years that the parking spaces were built, but I did not rely on this figure to calculate that the cost of parking exceeds the value of all automobiles in the country. Using data on the capital and operating costs of parking lots and parking structures, I estimated that the subsidy for off-street parking in 2002 was between $127 billion and $374 billion, or between 1.2 percent and 3.6 percent of the gross domestic product. In comparison, in 2002 the federal government spent $231 billion for Medicare and $349 billion for national defense. There are more parking spaces than vehicles because drivers must be able to park wherever they go, and many parking spaces are vacant much of the time. Cities typically require enough parking spaces to satisfy the peak demand for parking at every land use — at home, work, school, restaurants, shopping centers, movie theaters, and hundreds of other places — so that drivers can have convenient access to all addresses at all times. To see the result, think of what happens when almost all vehicles are parked at home in the middle of the night: almost all the spaces necessary to meet the peak demand for free parking at all other land uses are empty. Cities require a specific number of parking spaces for every land use, but no city collects data on its total parking supply. No one knows the total number of parking spaces in the US, but the eminent land-use planner Victor Gruen estimated that every car has at least one parking space at home and three or four waiting elsewhere to serve the same car. More recently, Davis et al. (2010) used detailed aerial photographs to estimate the number of parking spaces in surface parking lots in Illinois, Indiana, Michigan, and Wisconsin. Parking lots were identified as paved surfaces with stripes painted on the surface or where more than three cars were parked in an organized fashion. Although the estimates did not include any on-street parking spaces, or any parking spaces in structures (other than the top floor if the structure has an open roof), or any residential parking spaces that are not in parking lots, the total area occupied by parking lots in the four states would cover about half the state of Rhode Island. In two cities in Indiana for which there were detailed observations, parking lots covered three times more land than parks. Using this limited category of parking spaces (only the spaces in off-street surface parking lots), Davis et al. estimated that the parking supply ranged between 2.5 spaces per car in Indiana to 3 spaces per car in Michigan. Presumably, most cars also have one parking space at home, and many more parking spaces are on the streets and in structures. To be extremely conservative, suppose there is one parking space at home for every car and only two additional parking spaces elsewhere (at work, school, supermarkets, and so on), for a total of three parking spaces per car. Let us also take your back-of-the-envelope estimate of $2,200 for the land and construction cost of a surface parking space, an extremely low value. The cost of the parking spaces available per car would be $6,600 (3 spaces per car x $2,200 per space). In this case, the per-car cost of parking exceeds the average value of a car ($5,507). If so, the total cost of the parking supply exceeds the total value of all cars. And this estimate does not include the cost of any parking spaces on the streets or in structures. Please cite the source of your statement that “Even structured parking typically costs only about $10,000 a space.” The national average construction cost for an above-ground parking structure in 2010, according to Carl Walker Associates, is just over $16,000 per space (excluding land value). Underground parking structures are even more expensive. The most recent underground parking structure built at UCLA, for example, cost $31,500 per space (Table 6-1 in The High Cost of Free Parking). Yale is about to spend $20 million to build a 200-space underground parking structure for its new School of Management, which is a cost of $100,000 per space. Your rough estimates of $2,200 per space for surface parking and $10,000 per space for structured parking are probably far too low for parking lots and structures in many cities. Free curb parking may be the most costly subsidy that American cities provide for most of their citizens. I see that you retracted this no-free-parking-in-Manhattan claim in a later post. Unfortunately, this retraction includes several new errors of fact. New York does not require owners who park on the street to move their cars every night. It requires owners to move their cars twice a week so the city can sweep the streets under them. Most of the curb parking spaces in Manhattan are free, on some of the most valuable land on earth. As you say, a parking space in Manhattan can cost more than a house in other parts of the country, so these free curb spaces must provide an awesome subsidy for cars. And the competition for this awesome subsidy requires cruising to find a rare vacant space. This cruising for free parking wastes time and fuel, congests traffic, and pollutes the air. Please cite the source of a Shoup model that would require businesses to charge for parking. Opposing minimum parking requirements is very different from proposing minimum pricing requirements. I have supported the policy of “parking cash out” whereby employers who offer commuters free parking at work also offer commuters the option to choose the cash value of a parking space if they do not take a free parking space at work. This policy does not mandate parking charges because commuters who choose to drive can still park free. Parking cash out gives the same subsidy to every commuter, regardless of travel mode choice, while free parking gives a subsidy to drivers and nothing to other commuters. Case studies of employers who offer parking cash out in Southern California show that it reduced vehicle travel to work by 12 percent — equivalent to removing one of every eight cars from the road during peak commute hours. Parking cash out cost the employers only $2 a month per employee because they saved almost as much on parking subsidies as they paid in cash to commuters. Federal and state income tax revenues increased by $65 a year per employee because many commuters voluntarily traded their tax-exempt parking subsidies for taxable cash. Employers said that parking cash out is simple and fair, and that it helps recruit and retain workers. Parking cash out thus produces benefits for commuters, employers, taxpayers, cities, and the environment. It accomplishes all these goals simply by letting commuters choose how to spend their own money. Can you tell me if the Cato Institute offers free parking for its employees? If so, does it also offer commuters the option to cash out their parking subsidies? Why do you say that planners are annoyed when developers voluntarily provide more parking than zoning codes demand? Most off-street parking requirements are a minimum with no maximum. Minimum parking requirements imply that planners care only about having enough parking spaces, and that there can never be too many. I did not mention WalMart anywhere in The High Cost of Free Parking. Your “empirical question” attacks a straw planner. I have never said that developers provide parking only because of zoning. I have said that zoning often forces developers to provide more parking than they would voluntarily choose to provide in a free market, where they take into account both the cost of providing the parking spaces and the revenue the spaces will generate. So please cite the evidence for your statement that many developers routinely provide more parking than zoning codes demand. Why do you say that planners are annoyed when developers voluntarily provide more parking than zoning codes demand? Most off-street parking requirements are a minimum with no maximum. Minimum parking requirements imply that planners care only about having enough parking spaces, and that there can never be too many. Furthermore, the planning approvals for specific projects often require developers to provide more parking spaces than the zoning code requires. Few planners are annoyed when developers provide more parking than the code requires; they are annoyed when developers try to provide less parking than the code requires. City planners have no training that would enable them to estimate the demand for parking, and no financial stake in the success of a development. They know much less than developers do about how many parking spaces to provide for each project. Planners may, at best, know a little about the peak demand for free parking at a few land uses, but they know nothing about the marginal cost of parking spaces at any site, or about how to estimate the demand for parking as a function of its price. Markets will quickly reveal the demand for parking if cities cease requiring off-street spaces. Developers, landlords, and residents will all be able to make their own independent decisions about the right number of parking spaces. Market-priced parking will allow cities to evolve naturally in response to developers’ costs and citizens’ preferences, while minimum parking requirements force evolution toward car dependency and sprawl. In planning for an uncertain future, flexible prices are far better than rigid requirements. Could things be any worse if there were no planning for parking at all? The vision behind most planning for parking is a drive-in utopia, and cities legislate this vision into reality for every new building, regardless of the cost. Off-street parking requirements that satisfy the peak demand for free parking are, in reality, free parking requirements. Planners may believe in the immaculate conception of parking demand, and economists may believe that market choices reveal consumer preferences for travel by car. But the demand for parking was not immaculately conceived, and it does not result from consumer preferences revealed in a free market. Free parking is not always a free-market choice. Instead, governments and the market coupled long ago to produce today’s swollen demand for cars and parking. After he has studied the evidence and reconsidered the issues, I hope the Antiplanner at the Cato Institute may decide to condemn rather than condone a complex web of wasteful and harmful minimum parking requirements that severely restrict the use of private property. Well, that’s about it for pointing out mistakes in your blog post. Because you have said that you did not read The High Cost of Free Parking, I can understand why you have some misconceptions of what is in it. If you had read the book, you would probably have found much with which you agree. I do not expect that you will want to read a 733-page book on parking, however, so here are the links to a few sites that will give you a quick view of what’s in the book. I did not spend all this time simply to send you a personal message about your blog post. If you take responsibility for the accuracy of the facts you have confidently stated on Cato@Liberty, and if the Cato Institute stands behind the accuracy of what its staff members post on its blog, I hope you will use the information in this message to correct all the errors in your original post. If your post is so careless with the facts and so filled with errors, and it is not corrected or retracted, what should one assume about all the other posts on Cato@Liberty? 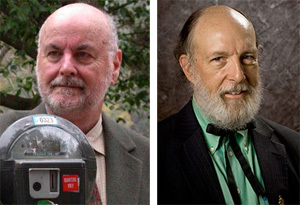 I am disappointed that the distinguished George Mason University economist, Tyler Cowen, has fallen for the “high-cost-of-free-parking” arguments of UCLA urban planner Donald Shoup. Shoup is an excellent scholar, but like many scholars, he has the parochial view that the city that he lives in is a representative example of what is happening everywhere else. Should free parking be a thing of the past? Shoup’s work is biased by his residency in Los Angeles, the nation’s densest urban area. One way L.A. copes with that density is by requiring builders of offices, shopping malls, and multi-family residences to provide parking. Shoup assumes that every municipality in the country has such parking requirements, even though many do not, and that without such requirements there would be less free parking. This last assumption is extremely unlikely, as entrepreneurs everywhere know that (outside of New York City) 90 percent of all urban travel is by car, and businesses that don’t offer parking are going to lose customers to ones that do. Shoup portrays such free parking as a “subsidy” because not all people drive and so the ones who don’t drive end up subsidizing the ones who do. But any business offers a variety of services to its customers and employees, and no one frets about subsidies just because they don’t take advantage of every single service. How often do you actually swim in the swimming pools or work out in the exercise rooms of the hotels you stay at? Shoup also supposes (and Cowen accepts) that universal parking fees would greatly reduce the amount of driving people do. “Minimum parking requirements act like a fertility drug for cars,” Cowen quotes Shoup as saying. Metro, Portland’s regional planning agency, submitted this question to its transportation model and concluded that requiring all offices, shopping malls, and multi-family residences to charge for parking would reduce driving by about 2 percent. The model showed that charging for parking has a greater effect on driving than spending billions on light rail, building scores of transit-oriented developments, or increasing the urban area’s population density by 20 percent. But 2 percent still isn’t going to do much to relieve congestion or solve any of the other problems Cowen associates with driving. Plus he never really explains why he thinks reducing mobility is a good idea in the first place. Shoup claims that a single parking space costs, on average, 17 percent more than the cost of an average car, and as a result, the cost of parking greatly exceeds the value of all automobiles in the country. This is ridiculous. Most free parking is surface parking, which costs about $2,000 a space plus the cost of land. In areas that have not used urban-growth boundaries and similar tools to create artificial land shortages, vacant suburban land with urban services typically costs about $20,000 an acre. Since each acre can hold about 100 parking spaces, the total cost is about $2,200 per space. From the point of view of a business owner, this cost can be amortized over 30 years at 6 percent, for an annual cost of about $160. If that parking space is used by just two customers a day, the cost is about 22 cents per customer. That’s pretty trivial, and the costs of collecting fees for such parking would probably be greater than the parking itself. Even structured parking typically costs only about $10,000 a space (or, using the above assumptions, $1 per customer), but structured parking is rarely provided for free. Strangely, one of the examples Cowen uses in his article is Manhattan, where (he claims) “streets are full of cars cruising around, looking for cheaper on-street parking, rather than pulling into a lot.” Give me a break! I defy Cowen to find any free parking anywhere in Manhattan, where ownership of a single parking space can cost more than a median home in other parts of the country. Cowen’s complaint about Manhattan is not about free parking but that the government is pricing on-street parking below the market. If that were the extent of Shoup’s argument, I would have no problem, as I noted in my blog last week. But Shoup’s goal isn’t market pricing of public parking; it is to create artificial shortages of private parking. He doesn’t want to simply eliminate the minimum-parking requirements that are found in many zoning codes; he wants to replace them with maximum-parking limits so that places like WalMart will not be allowed to provide their customers with as much parking as they like. The empirical question is: do shopping malls, office parks, and companies like WalMart provide parking for their customers and employees because of zoning mandates, as Shoup claims? Or would they and do they provide parking just because it is good for their businesses? Texas counties are not allowed to zone, yet shopping centers and office parks in unincorporated Texas still provide plenty of parking. Much to planners’ annoyance, many developers elsewhere routinely provide more parking than zoning codes demand. This suggests that free parking is a free-market choice, and Cowen, who generally supports free markets, should have no objection to it. Randal O’toole recognizes the obvious, that cars are more efficient means of transportation for the average person living outside the intensive metropolitan cores built during the days of the horse and buggy and street car. Anti-car smart growth zealots won’t get us to work faster, they won’t give us access to opportunities “off the grid”, they won’t give us cheaper, cleaner transportation. They will give us a nation of people waiting for the street car or bus. There is a fundamental economic illiteracy among the Smart Growth planners who think they are smarter than markets and have more egalitarian virtue than free choice. Randal O’toole has written extensively on a whole variety of more interesting subjects than parking spaces. Glad you are paying attention to him. I’d love it if we’d actually let economics decide how we allocate our resources. 65.6% of road funding comes from general tax money; the feds spend upwards of $40 billion per year promoting the single-family home environment, and our current land-use codes mean people can’t even rent out their back yard if they wanted to. [removed for violating comment policy] You are opening a can of worms when you cherry pick statistics and government policies. We can agree both distort markets. If buses are so great and inexpensive due to government subsidies, why don’t people use them more often? The answer is simple. They do not provide the level of efficiency, low cost and freedom of a car. Ask any teenager. Because people prefer cars, businesses provide parking. Cities and towns gain more retail tax when their businesses do well. Steve, you might notice here in Marin that our commute ferries and commute buses are always standing room only, I would venture to say that many of those commuters are well educated and headed to well paying jobs in SF. Portlands transit numbers also show that when people have a choice they choose transit often, as Portlands transit numbers have jumped considerably when infill and transit was introduced. And it turns out, housing prices are increasing showing a desire by the people to live in a more “livable, sustainable” community. This appears to be a vast conspiracy. We need your help. Will you answer the call? Richard, I know that the San Rafael City Council agrees with you, and it is in their power to wave the CEQA streamlining and go for the Full Monty, so consider you wish granted. They do not provide the level of efficiency, low cost and freedom of a car. …due to government subsidies, in the form of parking requirements. The only teenagers impressed by the low cost of a car have it subsidized by mom and dad. Because people prefer cars, businesses provide parking. So why shouldn’t they have the option of not providing it, if they feel that that’s what’s better for their business? Yes but cars are subsidized 0.6c per passenger mile; transit is 60c or more. Cars are incredibly efficient at getting people from A to B. Cars have broken down class barriers where back in the 1900s low income residents lived in high density urban ghettoes and walked, transit was priced out of their reach. Removed for violating comment policy. It’s disappointing that despite continual reminders, you’re off-topic, aren’t using the reply function, and indulge in ad hominem attacks, all of which are against comment policy. I don’t mind that you vociferously disagree with everything on this blog, but keep your vociferous disagreements within the policy. So now low-income residents live in low-density suburban ghettos, where they either spend an increasingly large share of income on maintaining cars (more, even, than they spend on housing), or they walk… and walk, and walk. David, thank you for exposing O’Toole’s questionable analysis. I’d go so far to suggest that the externalities that support car usage far outweighs and produces what some would claim as a much less cost efficient means of transportation than Public Transit. You may not be aware, but Richard Hall, a strong Citizen Marin insider and supporter and a close associate of Susan Kirsch, negotiated for CATO’s Mr. Randal O’Toole to be in the debate on May 30th in Marin Supe’s chambers. To me it suggests they have run out of viable reasons to oppose Plan Bay Area and chose [removed for violating comment policy] O’Toole who is known to cherry pick his data to meet his predetermined outcome as a last resort. Is it true that CATO is funded in large part by the Koch Bros.? As is the John Birch Society and the Tea Party, and they all pretty much preach the same story when discussing sustainability and smart growth. Because I’ve seen conversations between the folks in this comment thread devolve on other sites, I want to let you know that that sort of thing will not be tolerated on TGM. I’m traveling tonight and so I won’t be as on-top of things as I’d like, but please keep it above board. If it does go that direction, I won’t hesitate to delete entire comments from anyone acting against comment policy or close this thread entirely. Thanks. David, we may not agree on all points concerning smart growth and transportation choice, but I appreciate your comment standards. I’m looking forward to your presentation on May 9th at Dominican University where Marin will have an opportunity to learn more about multimodal transportation choices benefiting people and communities.